Parabolic antennas are everywhere. From the tiniest little “ray gun” toy to the massive dishes in the desert, they’re a part of our lives and something we almost couldn’t live without. Yet just like most of our modern world, they didn’t exist 150 years ago. What is a parabolic antenna? A parabolic antenna is an antenna where a curved “dish” focuses signal on one point. The drawing above is from the original patent application filed by Heinrich Hertz in 1888. He was just trying to figure out how to get better radio reception in the days when radio was a brand new thing. Of course we know now that you don’t really need this kind of antenna for most radio applications but it sure does come in handy with satellite dishes. A parabolic antenna takes advantage of two characteristics of electromagnetic radiation that have been known since at least the 17th century. First, that all EM radiation (light, radio waves, X-rays, etc.) travel in a straight line. Second, that it’s possible to reflect them, in other words point them in a different direction, if you choose to. 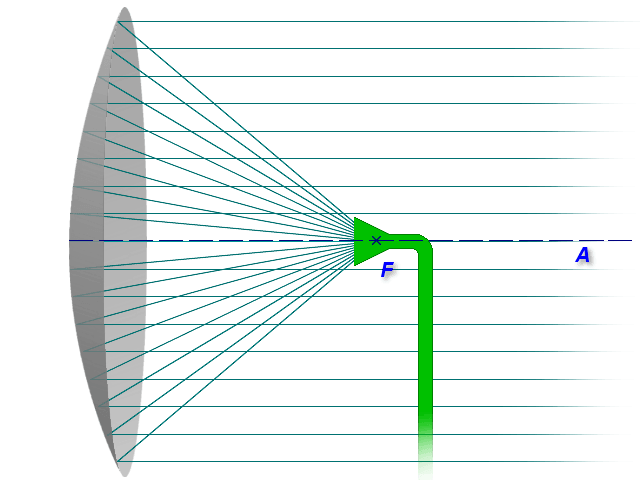 Using a curved reflector in back, all the radiation coming toward the antenna is focused on a single point. Here’s a graphic I found on the internet that makes it pretty clear. Where are parabolic antennas used? As you can see this is a parabolic antenna inside a gumdrop-shaped “radome” which keeps the salt water off the electronic stuff. So really parabolic antennas are everywhere. The only question is, do you need one? Of course you’re familiar with this use of a parabolic antenna, but what about this one? Technically this is a simple parabolic antenna. The reflectors on the back, even though they are straight, focus the signal onto the receiving element which is the loop-shaped thing in front of the reflectors. This is a common design in antennas and it helps keep the antenna small and yet powerful. In this case the reflectors point the signal onto the back of the receiving element which roughly doubles the amount of signal that is received. Generally you do not see parabolic designs in smaller antennas such as indoor TV antennas and cellular antennas because they actually make the antenna bigger and not help a whole lot. However, you do sometimes see parabolic antennas like the one at the top of this article on hospital and police department roofs. These antennas are used to get signal from ambulances, fire trucks, cop cars, and the like. So do you need a parabolic antenna? Chances are you already have one. Do you need another one? It’s quite possible, but you probably don’t need one of the massive commercial ones. 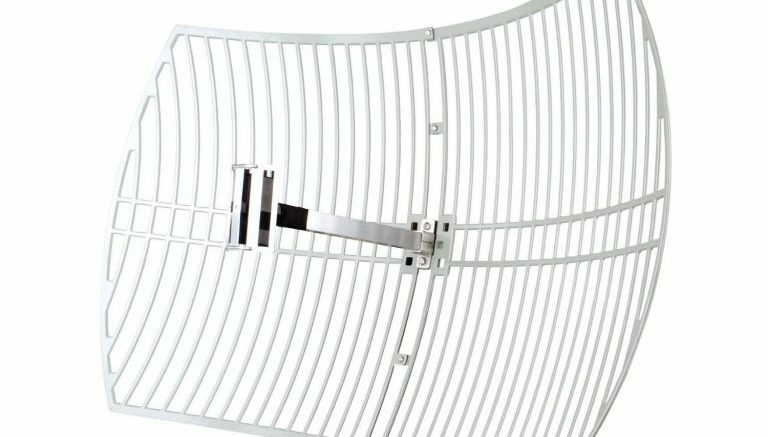 The parabolic antenna you need is probably part of something you’re already considering buying. Speaking of buying, one last thing… please shop at Solid Signal for all your antennas. They’re really nice and they fund this blog which keeps these tutorials coming.